If Chicago, the fifth most racially and economically segregated city in the country, were to lower its level of segregation to the national median of the 100 largest metropolitan areas in the country, it would have a profound impact on the entire region. There's a compelling question at the heart of a report released this week by the Metropolitan Planning Council: If more people — especially educated professional white Americans — knew exactly how they are harmed by the country's pervasive racial segregation, would they be moved to try to decrease it? 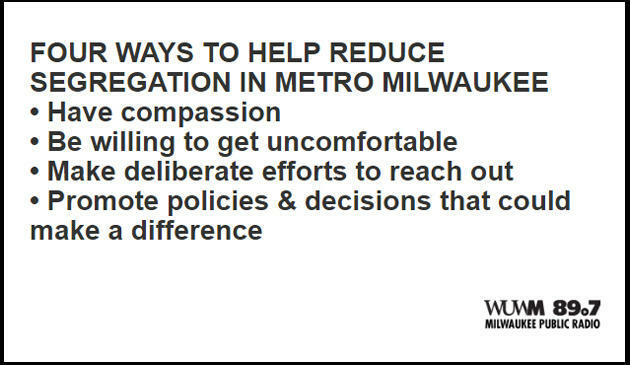 Researchers from the MPC, a Chicago-based nonprofit, and from the Washington-based Urban Institute tried to create a workable formula for estimating the cost, collectively and individually, of the persistent problem in their report, "The Cost of Segregation: Lost income. Lost lives. Lost potential. The steep costs all of us in the Chicago region pay by living so separately from each other." The researchers analyzed segregation patterns in the 100 largest metropolitan areas in the country and found that if Chicago — the fifth most racially and economically segregated city in the country — were to lower its level of segregation to the national median of those 100 cities, it would have a profound impact on the entire Chicago region, including raising the region's gross domestic product, raising incomes and lowering the homicide rate. "Segregation is not only an issue in low-income communities or communities of color," the report says. "Economic and racial segregation has strangled opportunities for millions of people. Disinvestment has devastated entire city neighborhoods and suburban villages, towns and cities. Lack of diversity also hurts affluent communities, where limited housing options often mean that young people cannot afford to return when starting their own families, retirees cannot afford to stay and valued employees are priced out. Add it up, and it's clear that segregation holds back the entire region's economy and potential —and whether we realize it or not, it's costing all of us." Amanda E. Lewis, director of the Institute for Research on Race and Public Policy at the University of Illinois-Chicago, called the MPC report "very important." "The findings are pretty stark," Lewis said. "They're hard to ignore." 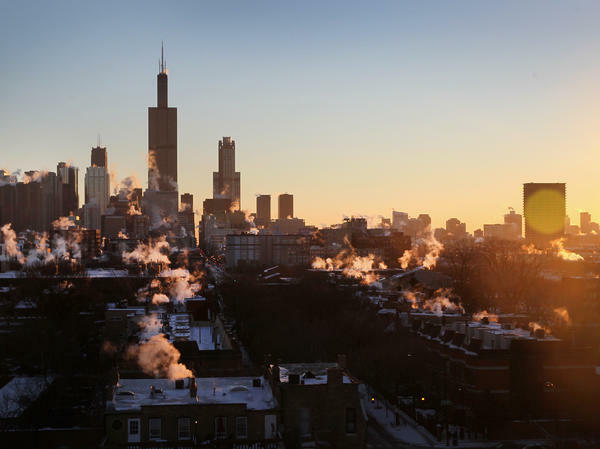 The report concluded that the Chicago region would gain many benefits from lowering its segregation level to the national median. Chief among them would be that incomes for African-Americans in the Chicago region would rise an average of $2,982 per person per year, which would increase the earnings of the region by $4.4 billion and raise the Chicago region's gross domestic product, a leading measure of economic performance, by approximately $8 billion. Chicago's notorious crime would also be positively impacted. The region's homicide rate would drop by 30 percent, which would have saved 229 lives in Chicago in 2016. In 2010, the last year for which regional numbers are available, a 30 percent drop in the homicide rate would have saved 167 lives and saved $65 million in policing costs and an estimated $218 million in corrections costs. In addition, residential real estate values would have increased by at least $6 billion. Less segregation would also make Chicago and its environs more educated, with an estimated 83,000 more people who have bachelor's degrees, bringing the region an added $90 billion in total lifetime earnings. Marisa Novara, vice president of MPC and one of the report's authors, said the MPC was trying to change the narrative around segregation away from the commonly held view that white people clustered in upper-income communities are not touched by it. "That has absolutely been the way our society has understood this," she said in an interview. "This report really changes that. It shows that it's not true that segregation only works in white people's favor. We all pay a price — billions of dollars. The way we've talked about segregation to this point has really left a big part of our region feeling like segregation is not their problem and they don't need to be part of the solution. That's problematic." Novara said the MPC will follow up "The Cost of Segregation" with another report that details the steps the region needs to take to decrease segregation. "I think it's interesting to try to say, 'Hey this is your problem, too,'" said Anne Dodge, executive director of UChicago Urban, an institute at the University of Chicago that focuses on research on cities. "I like that the report talks collectively about the city. This is one place and we all own it, and we need to own each other's problems and each other's successes." 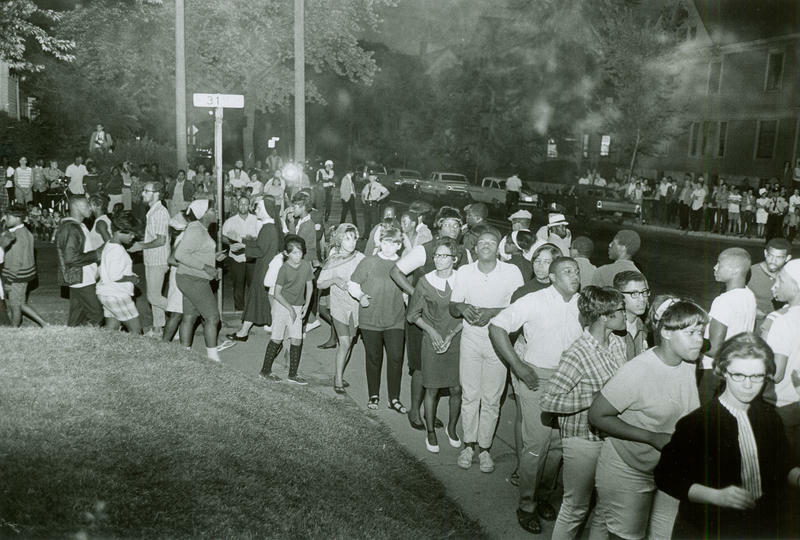 The MPC report points out that racist government policies initially created segregated neighborhoods in Chicago, when the Chicago Real Estate Board (CREB) instituted racially restrictive covenants in the early 20th century that prohibited African-Americans from purchasing, leasing and occupying housing outside of a small area on the city's South Side. 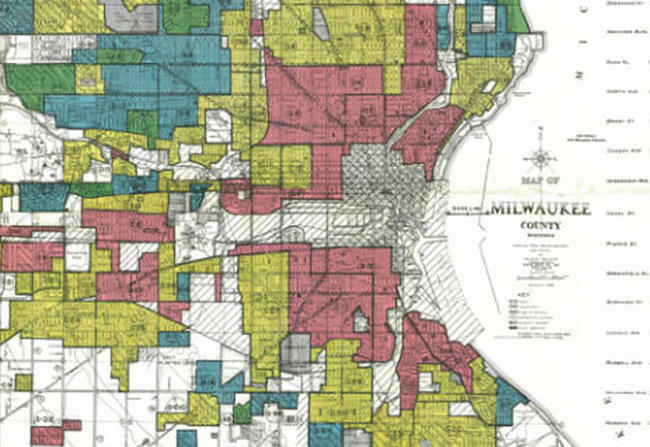 The covenants led to widespread "redlining" by denying black communities access to financial capital and resources to purchase homes and start small businesses. That kind of institutional racism has continued in the modern era by banks disproportionately saddling African-American home buyers with predatory loans. At its root, Lewis of the University of Illinois-Chicago said, the issue is racism and the too-pervasive white view that anything associated with black people is bad. "This isn't some abstract thing about the market — it's because white people don't tend to want to buy in black neighborhoods, and they are still the majority of people buying homes. It's a self-fulfilling prophecy," said Lewis, co-author of Despite the Best Intentions: How Racial Inequality Thrives in Good Schools, a book about how even liberal white people make individual decisions that exacerbate inequality. "If you don't have the largest group in society, who happen to control the greatest amount of resources, being interested in buying in certain neighborhoods, the market forces suggest those neighborhoods won't accrue value as quickly. It has serious consequences for middle and upper middle-class black folks who want to be in communities with folks who look like them." Amara Enyia, a municipal policy consultant and 2014 Chicago mayoral candidate, complained on social media that the report spent too much time focusing on getting black people and white people to live together and not enough on gaining equity for black communities. "Yes, I believe there is a significant societal value to diversity and inclusion, but for now I'm focused on the premise of this report as it relates to the public space and public goods (i.e. education, housing, healthcare, etc. )," she wrote. While she feels the report is valuable, Lewis, who is white, said she is disturbed that it is even necessary to make the case to white people that segregation also hurts them in order for white people to care about segregation. "Why isn't it enough to show negative consequences for black and brown people?" she asked. "Why wouldn't that be enough to motivate us? Why shouldn't that be the driving thing that says to us, 'This is unjust.' Having to make the case that all of us lose says a lot about our society writ large and why we are so segregated." A new study out from the Chicago-based Metropolitan Planning Council, with the Urban Institute, has quantified how segregation may affect a region’s economy. 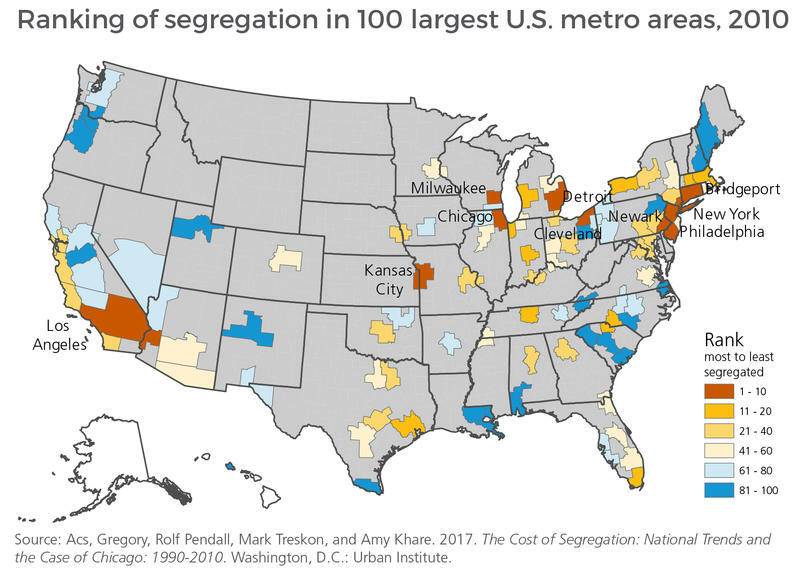 The Cost of Segregation looks at the impact of segregation on the Chicago area and compares it to the 100 largest U.S.